There is no shortage of Churches and Basilica’s in and around Rome. But there are only a few that command the attention of visitors. St. Peter’s Basilica and the Vatican of course are the first to see. After visiting the Vatican (which isn’t in Rome, it’s in Vatican City), it is easy to just forget about the other 899. That’s right, there are 900 Churches in Rome. Some might think that St. Peter’s was the first church to be built in Rome, it is not. The Basilica of St. John Lateran was the first church of the popes, from the fourth century until the papacy moved to France in 1309. The pope’s residence was in the adjoining Lateran Palace. This is the site of the first Christian church ever built in Rome. The Basilica of Saint John Lateran was built under pope Melchiade (311-314), it’s the most ancient church in the world. Due to the fact that the pope is also the bishop of Rome, Saint John in Lateran – being the seat of the bishop’s residence – is also Rome’s Cathedral. The present structure of the Basilica resembles St. Peter’s Basilica. The ancient church was the residence of the Popes until their return from exile in Avignone (1377), when it was moved to the Vatican. It was pillage-stock of the Visigoths (410), the Vandals (455); the earthquake in 896 caused the central aisle roof to collapse (rebuilt under Pope Sergio III in 904-911). 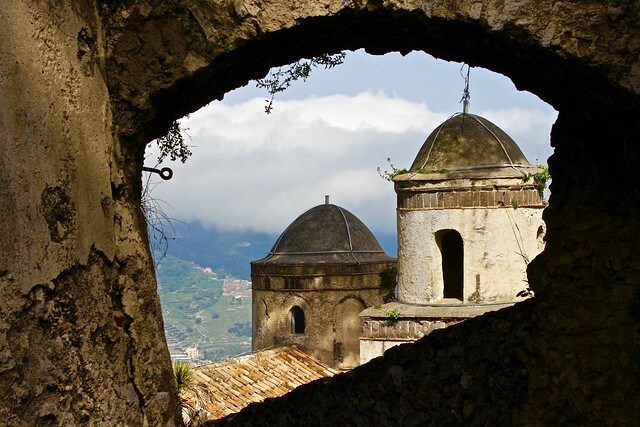 Fires in 1308 and again in 1361 destroyed most of the Basilica, it was rebuilt under the Pontificate of Gregorio XI (1370-1378), following the architectural plans of the ancient structure that had by then become a ruin. Repairs continued during the entire 15th century and the sumptuous ceiling was realized in 1562. Sisto V (1585-1590) ordered the construction of the Blessings Lodge, and the making of the Lateranense building assigning the project to Domenico Fontana. 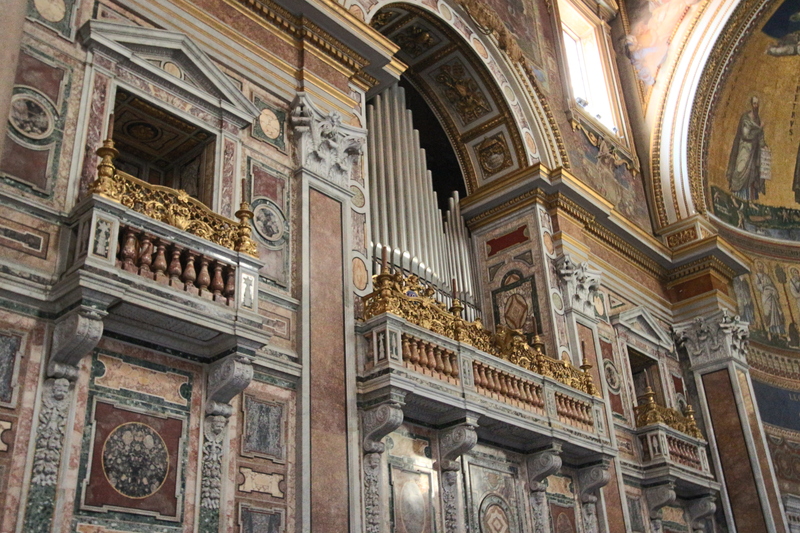 After about 140 years, Pope Innocenzo X Pamphili (1644-1655) decided in 1646 to bring the cathedral to new grandeur entrusting Francesco Borromini with the repairs. The work was to be completed in time for the Holy Year of 1650 and had to retain (according to the pacts with the Pope) the structure of the ancient Basilica of St John Lateran. The great statues of the Apostles that are on display today in the borrominian niches were made by sculptors of the late baroque in the beginning of 1700. 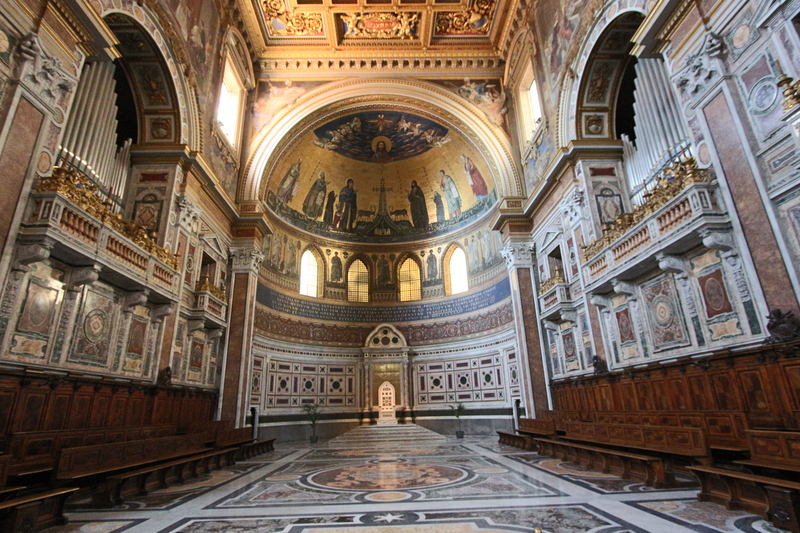 In 1731 Pope Clement XII created a competition for the new façade of Saint John in Lateran. The winner – without too much merit – is the Florentine Alessandro Galilei (the second place is for Luigi Vanvitelli, with a much better project) who in 1735 finished the works of the present façade. Under the ogival tabernacle (at the end of the central aisle, in the transept) is the papal altar where only the Pope can give mass. Above the Sacramental Altar there’s a fragment of the table on which Jesus consumed the last supper. The Cathedral hosts also Jesus’ blood, brought to Rome by centurion Longino. 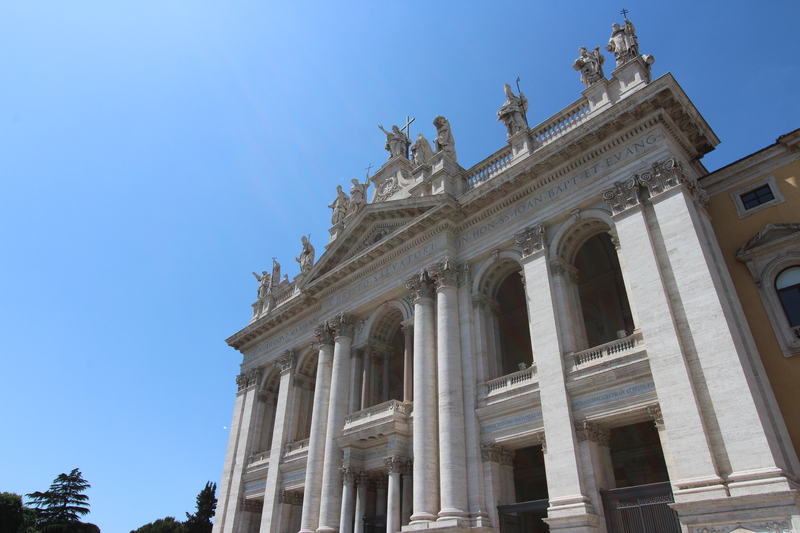 No matter how many Churches or Religously significant buildings and sites you visit while in Rome, do not miss The Basilica of Saint John Lateran. And when you do, remember you are stepping into the very first church ever built in Rome.